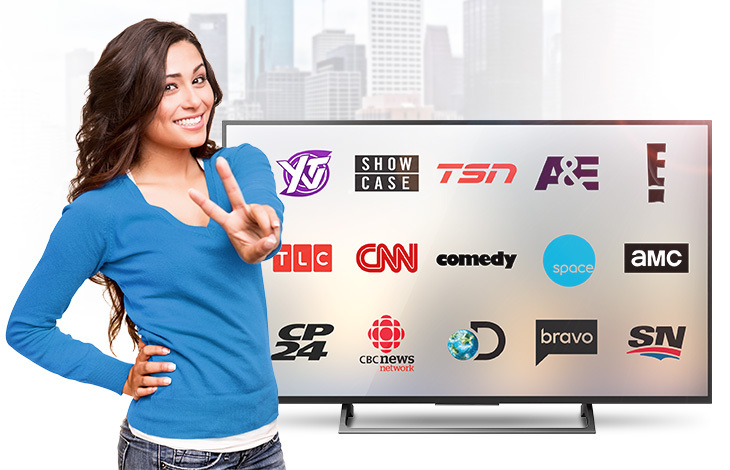 Our innovative VCloud TV, unique in Canada, gives you quick access to any show aired within the past 7 days up to 27 channels, including all the major Canadian and US networks. A huge range of popular programs - just a few clicks and and it’s up on your screen. So don’t worry about missing your favourite shows – they’re always in the cloud. vCloud TV is easy to install. Enjoy all your favourite TV channels and VCloud TV with your Roku device. 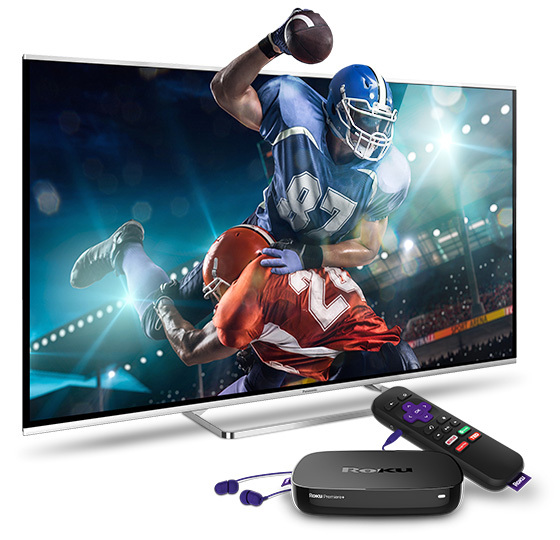 Watch live sports, news and all the hit shows, along with your other favourite Roku content..
To enjoy VCloud TV and all its appealing features, you will need one of our low cost, unlimited Internet plans. Choose your base package below and add custom channels later. TheSkinny is the lowest priced, basic package available in Canada today, and the perfect foundation for your own personalized TV line-up. Twenty eight key channels including all the major Canadian and US networks: CBC, CTV, Global, CHCH, CITY, TVO, CBS, NBC, ABC, Fox and PBS, and more! Start with TheSkinny, and then select from among our many theme packs and individual channels in our UChoose Store. Enjoy all the major Canadian and US networks, plus a great lineup of popular specialty channels you want to watch. Get all your favourite shows, sports, news and entertainment, in a very affordable TV package. Missing a channel you want? Add it “à la carte” in UChoose or in a theme pack. 62 channels and the best set of channels for the best price on the market today. With all the major Canadian and US networks; CTV, CBC, Global, CITY, NBC, ABC, CBS, FOX, PBS - plus a great line up of popular specialty channels like A&E, AMC, Bravo, CNN, Discovery, E!, MLB, MTV, NFL, Showcase, Space, Sportsnet, SportsnetOne, Sportsnet East, Sportsnet West, Sportsnet Pacific, TSN1, TSN2, TSN3, TSN4, TSN5, Turner Classic Movies, The Comedy Network, TLC, YTV and more. Choose any 20 channels from our UChoose store, for only $30.00/month. Add any additional channel for $2.95/channel. Create your own line-up that YOU have chosen, channels that YOU want to watch, for a total price with TheSkinny of only $47.95/month. These channels can be purchased for as little as $2.95 per channel. Some of them can also be purchased in packages of 5 or more, for $1.95 per channel, and others in packages of 10 for $1.75 per channel, or 20 for $1.50 per channel. See UChoose 5, UChoose 10 and UChoose 20 for details.